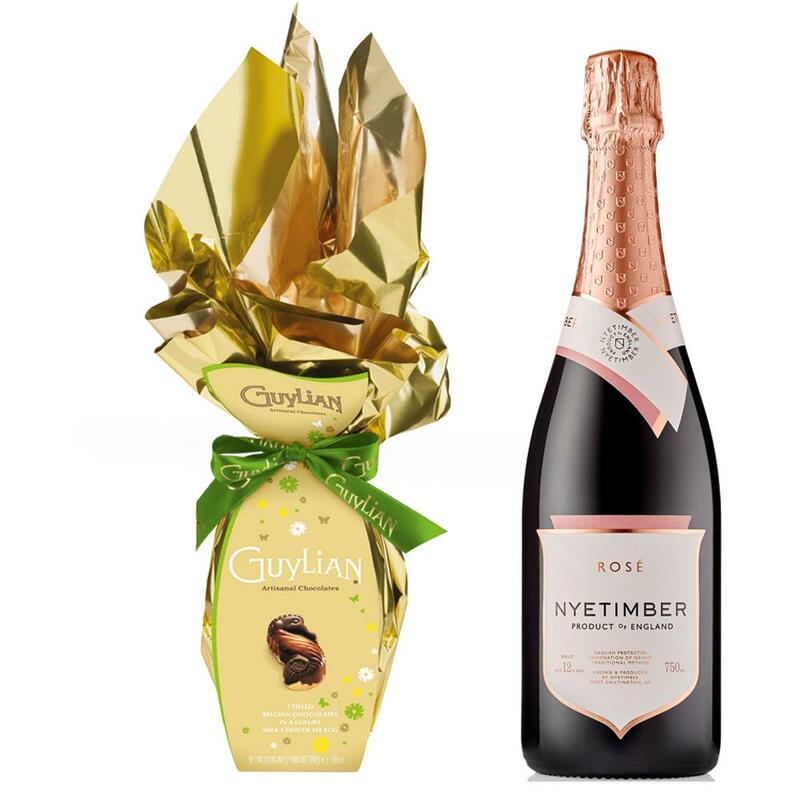 Buy this set with a full bottle of Easter Nyetimber Rose English Sparkling Wine 75cl and it comes with a lovely Guylian Flame Egg with 6 chocolate Sea Horses 200g. Nyetimber has produced bottle fermented sparkling wines for 22 years winning numerous international awards for their wines. This wine is produced from 3 noble grape varieties; Chardonnay, Pinot noir and Pinot Meunier. Fresh bright colour with a bold and fruity palate. Well-balanced with perfect acidity.